On June 5, 2017, the education and business communities celebrated thirty-two students from around the region who have excelled in all aspects of their CTE education- theory, practical skills and work-based learning – at the OU BOCES Career and Technical Education Center. 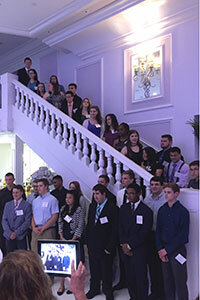 The annual Outstanding Career and Technical Education Student Recognition Dinner was held at the Villa Venezia in Goshen, where the students, their families, their CTE instructors, guidance counselors and administrators joined them to commend their hard work, dedication, skills and accomplishments. Sarah is a member of the National Honor Society and the National Physical Activity Society. She has donated her time to numerous community events and has been named Student of the Month six times during her two years in the Exercise Science Program. “When I started this class, I wanted to be a personal trainer, but as I’ve gone through this program, I’ve discovered there are more health professions available in this field than I ever imagined.” Sarah will be attending college in the fall to further her career in the exercise science field. Damon’s future plans include attending a factory-sponsored automotive program at a college or technical school and working in a shop. Damon has been Student of the Month several times, and has been on the honor roll. Damon worked as a student intern at Healey Mitsubishi and Quality Bus. He attributes his success at CTE to his teachers, Mr. Levato and Mr. Rugnetta. All of the students from around the region who were honored for their excellence in the CTE program. 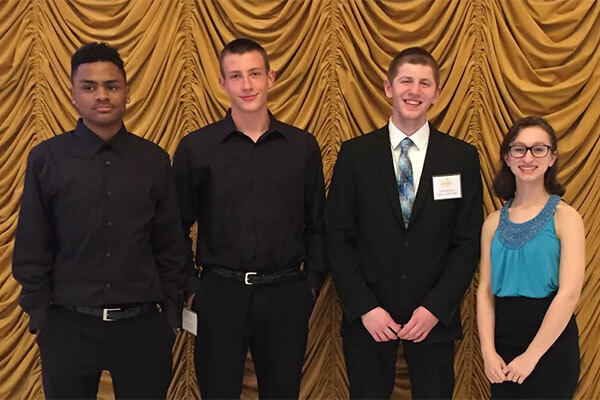 Congratulations to our outstanding CTE students, and thanks to Orange County Trust Company and all of the sponsors for recognizing and honoring the next generation of skilled professionals.